OUR PRICE: $29.53 - Join Rewards Get $1 Dance Dollars On This Item! 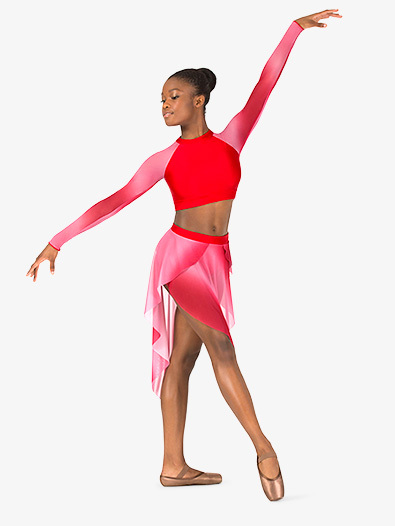 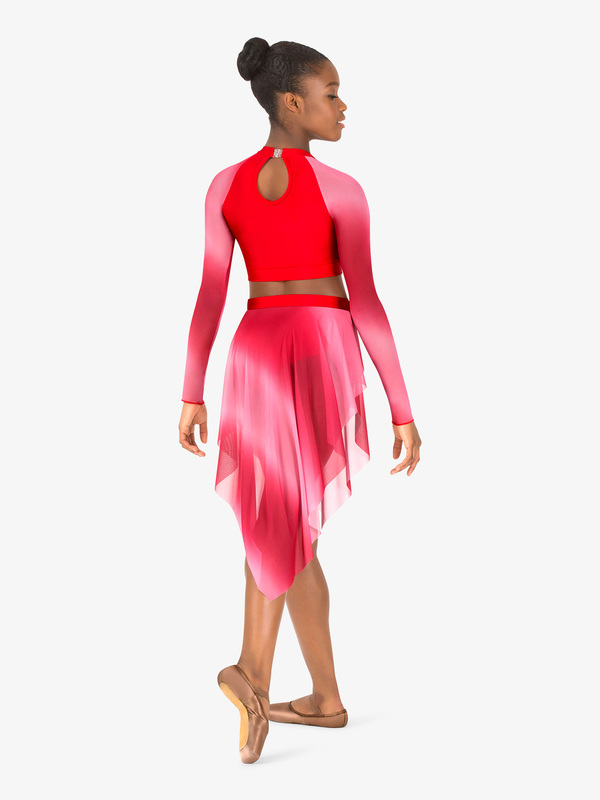 Flowing and vibrant, this handkerchief skirt features a stretchy waistband, an asymmetrical hem, and allover ombre mesh fabric that looks beautiful under the spotlight. Fabric is sheer; briefs not included.